Andreas Brantelid is one of Scandinavia s leading cellists and is quickly establishing an international reputation. He is currently a member of the Lincoln Centre Chamber Music Society in New York performing regular concerts in that city and elsewhere in North America. Highlights of the 2011/12 season will include his debuts with the Tonhalle Orchestra (Jonathan Nott), Swedish Chamber Orchestra (Thomas Dausgaard) and Oslo Philharmonic (Joshua Weilerstein). He will also play with the Scottish Chamber Orchestra and Robin Ticciati for the first time, both in Scotland and on tour in Germany. Recital engagements this season include New York, Vancouver, Barcelona, Ghent and several cities throughout Scandinavia. Andreas made his concerto debut at the age of 14 with the Royal Danish Orchestra in Copenhagen playing the Elgar Cello Concerto. Since then he has appeared as a soloist with all the major orchestras in Scandinavia, including the recent world premiere of Rosing-Schow s Cello Concerto with the Danish National Symphony Orchestra. His concerto performances have also included the Vienna Symphony, Hamburg Symphony, Brussels Philharmonic, City of Birmingham Symphony and Munich Chamber Orchestras. Andreas was recently a member of the BBC s New Generation Artist scheme, playing with many of the BBC s orchestras as well as recital and chamber performances. In the 2008/09 season he was nominated by the European Concert Hall Organization for their "Rising Star" recital series and performed in many major venues including the Concertgebouw Amsterdam, Musikverein Vienna, Palais des Beaux Arts Brussels, Philharmonie Cologne and Stockholm Concert Hall. He has also played recitals in New York (Carnegie Hall), London (Wigmore Hall) and Paris. Andreas very much enjoys collaborating with other musicians and plays regularly at important festivals including Vienna, Schlewswig- Holstein, Bergen, Verbier and the City of London. In April 2008 EMI released Andreas debut concerto disc, which features the Tchaikovsky Rococo Variations, Schumann Concerto and Saint-Saëns Concerto No. 1 with the Danish National Symphony Orchestra, conducted by Michael Schønwandt. A disc of chamber music by Chopin including his cello sonata was released in January 2010 to great critical acclaim. 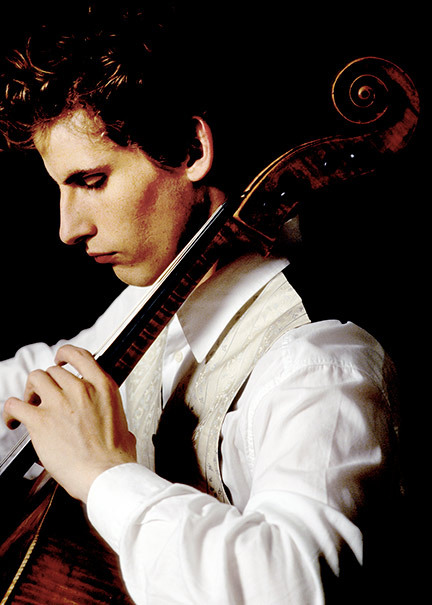 Andreas was the first Scandinavian to win 1st Prize in the Eurovision Young Musicians Competition (2006) and the Paulo International Cello Competition (2007). He was a Borletti-Buitoni Trust Fellowship winner in 2008 and Danish Radio's "Artist in Residence, 2007". He has studied with his father Ingemar Brantelid, Mats Rondin, Torleif Thedéen and Frans Helmersson. Andreas plays on a "Ex-Boni" Stradivarius cello from 1707, kindly lent to him by the Norwegian art collector Christen Sveaas.